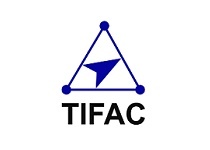 The Intellectual Property Rights Protection Alliance is aimed to establish a broad-based platform for fostering closer cooperation between the Customs and Enforcement Department and the IPR industry. It is a symbol of the stronger commitment of the department and industry to work in collaboration to pursue the goal of removing piracy and counterfeiting. We are an active member of the Hong Kong Intellectual Property Rights Alliance and contribute timely for the efficient functioning of the same. 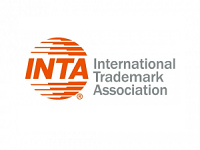 The International Trademark Association (INTA) is the global association of trademark owners and professionals dedicated to supporting trademarks and related intellectual property in order to protect consumers and to promote fair and effective commerce. United IPR has been a member of INTA since 1994 and has served in various subcommittees of the same. Mr. Shravan Kumar Bansal, Senior Partner with the firm has served as a chair for the famous and well known marks committee from Asia region for the period of 2010 -2012. Currently, we are affiliated to the anti – counterfeiting team of South Asia Sub-Committee. The Asian Patent Attorneys Association (“APAA”) is a non-governmental organisation dedicated to promoting and enhancing intellectual property protection in the Asian region (including Australia and New Zealand). We are an active member of APPA for nearly a decade. 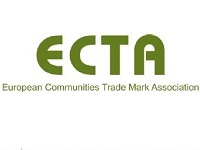 The ECTA (European Communities Trade Mark Association) plays a vital role to promote the knowledge and professionalism of members and owners alike in the fields of trademarks, designs, copyrights and other Intellectual Property rights, within the European Union. We are an active member of ECTA since 2008. We have served in various committees of the same including the anti-counterfeiting team. Currently United IPR is a member of the Designs Committee of ECTA. 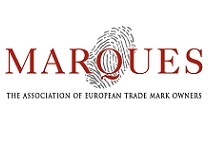 Marques is a European association representing the interests of trade mark owners since 1986. From that time MARQUES has built an enviable reputation as a highly respected and influential trademark owners association. We have been an active member of MARQUES since 2006, we have served in various committees of MARQUES including the Anti Counterfeiting and Parallel Trade Team. 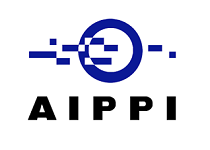 The AIPPI is the world’s leading international organization dedicated to the development and improvement of legal regimes for the protection of intellectual property (IP). It is a politically neutral, non-profit organization, domiciled in Switzerland, which currently has over 9000 Members representing more than 100 countries. 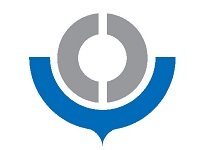 We are an active member of the AIPPI and have served for more than a decade contributing to various initiatives taken by the association. FICCI is the largest and oldest apex business organization in India established in 1927. A non-government, not-for-profit organization, FICCI is the voice of India’s business and industry. From influencing policy to encouraging debate, engaging with policy makers and civil society, FICCI articulates the views and concerns of industry. We are an active member of the IPR Committee of FICCI and contribute regularly to represent the voice of the industry. The International Bar Association, established in 1947, is the world’s leading organization of international legal practitioners, bar associations and law societies. The IBA influences the development of international law reform and shapes the future of the legal profession throughout the world. We are an active member of the International Bar Association since 2011. 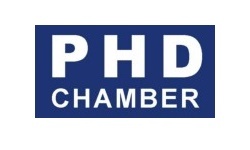 PHD Chamber of Commerce and Industry, established in 1905, is a proactive and dynamic multi-State apex organization working at the grass-root level and with strong national and international linkages. The Chamber acts as a catalyst in the promotion of industry, trade and entrepreneurship. PHD Chamber, through its research-based policy advocacy role, positively impacts the economic growth and development of the nation. We are an active member of various committees of PHD including the Retail, E- Commerce & FMCG Committee, International Affairs Committee for Americas – North, International Affairs Committee for Europe, Law & Justice Committee, Innovation Committee and Committee on MSMEs. World Customs Organization (WCO) an independent intergovernmental body established in 1952 as the Customs Co-operation Council (CCC) whose mission is to enhance the effectiveness and efficiency of Customs administrations. WCO is the only international organization with competence in Customs matters and can rightly call itself the voice of the international Customs community. The WCO provides leadership, guidance and support to Customs administrations to secure and facilitate legitimate trade, realize revenues, protect society and build capacity. We work in cooperation with World Customs Organization (WCO) for conducting customs based trainings all over the globe. 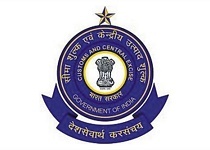 Central Board of Excise and Customs (CBEC) is a part of the Department of Revenue under the Ministry of Finance, Government of India. It deals with the tasks of formulation of policy concerning levy and collection of Customs & Central Excise duties and Service Tax, prevention of smuggling and administration of matters relating to Customs, Central Excise, Service Tax and Narcotics to the extent under CBEC’s purview. We are on the panel of Central Board of Excise and Customs (CBEC) since a long time thereby contributing to various initiatives taken by the Board. 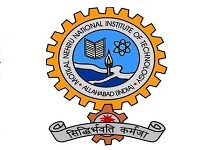 An autonomous organization under the Department of Science & Technology which assesses the technology trajectories, and support technology innovation by network actions in selected technology areas of national importance like Agriculture, Agro-food Processing, Health, Bio-process & Bio-products, Automobiles, Education, and Advanced Composites etc. Works under Department of Defence Research and Development of Ministry of Defence. , in various areas of military technology which include aeronautics, armaments, combat vehicles, electronics, instrumentation engineering systems, missiles, materials, naval systems, advanced computing, simulation and life sciences. Telecom Technology development centre of the Government of India. C-DOT has expanded to develop intelligent computer software applications. Developed products for optical, satellite and wireless communication from circuit switching technology, ATM and next generation networks. 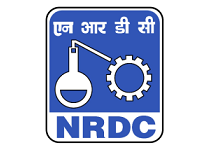 Organization under Government of India, with the primary objective to promote, develop and commercialize the technologies / know-how / inventions / patents / processes emanating from various national R&D (Research & Development) institutions / Universities and is presently working under the administrative control of the Dept. of Scientific & Industrial Research, Ministry of Science & Technology. Third oldest university in India. The college has distinction of being first in the country to start an undergraduate program in Computer Science & Engineering in 1976-77. The institute has International collaboration with some leading universities and industries which provide an exciting platform for generating ideas and concepts which is required for meaningful research. 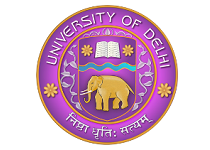 A premier university under the Department of Higher Education in the Union Human Resource Development Ministry. Many Departments such as Chemistry, Geology, Zoology, Sociology and History have been awarded the status of the Centers of Advanced Studies. These Centers of Advanced Studies have carved a niche for themselves as centers of excellence in teaching and research in their respective areas. A good number of University departments are also receiving grants under the Special Assistance Program of the UGC in recognition of their outstanding academic work. Autonomous organization under the Department of Agricultural Research and Education (DARE), Ministry of Agriculture, Government of India. The Council is the apex body for coordinating, guiding and managing research and education in agriculture including horticulture, fisheries and animal sciences in the entire country. With 99 ICAR institutes and 53 agricultural universities spread across the country this is one of the largest national agricultural systems in the world. The valley has a rich tradition of art, literature, culture and education. It has contributed a large number of eminent personalities to the nation in the fields of science, education, arts and many others. This historical heritage has given the place a strong foundation for the development of a Centre of Excellence in higher education. In view of the empanelments above, we are in the process of short listing tenders from Attorneys/Associates globally, rendering IPR services including Patents, Designs, Trademarks and Copyrights and other advisory or consulting services in their respective jurisdictions. In lieu of the same , kindly fill in the form below with your particulars and attach a copy of your Fee Schedule.